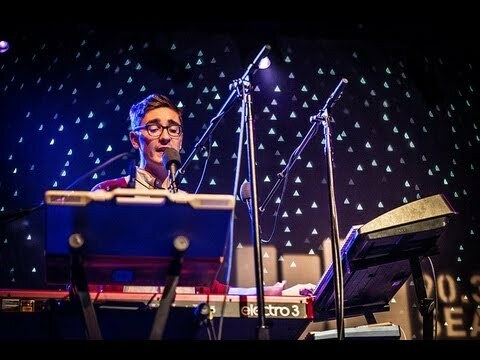 In this video of Two Door Cinema Club Live on Letterman, Alex can be seen playing the Nord Electro 3. At :20s into this video you can see the Electro 3. The Clavia Nord Electro 3 Keyboard can be seen in a photo Dillon Francis shared. One of the hardware synths Toro Y Moi uses in his recordings is the Clavia Nord Electro 3. He also uses it live to play piano, as seen in several videos of Toro Y Moi performing. Adam Young's Sky Harbor Studios contains a Nord Lead 3. At 3:55 in this video, Mike Shinoda says, "I like the [tactile] expereince (...) the Nord is great..."
Chet Faker is seen here playing a Clavia Nord Electro 3 61-Key Keyboard in a live performance. 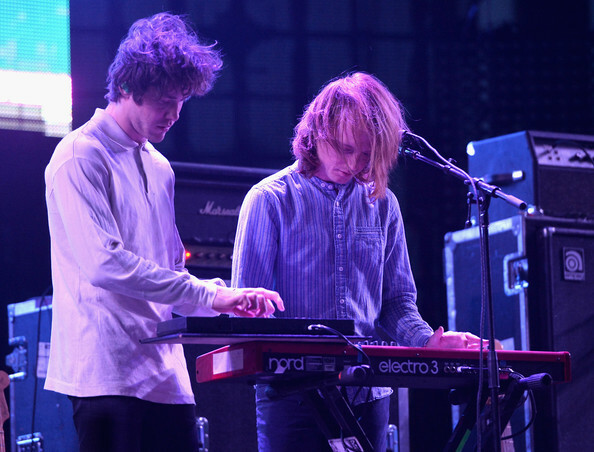 In this 2014 Coachella Festival photo, Sullivant can be seen performing with Nord Electro 3. This synth is used for the infamous beginning of "Kids" live with MGMT. "The Nord Wave and Electro 3 have consistently been a huge hit in the studio every time I've brought them in and they've been fantastic tools for getting a vibe going during writing sessions. The Wave's sounds have been so inspirational that every time I come up with a new one it has always led directly to a new song being written there on the spot." "As for hardware synths, Rjd2’s Clavia Nord Lead Electro, Korg Polysix, Yamaha CS-80 and SY-2, ARP Pro Soloist, and Moog Minimoog provide color to his beat-pulsing tunes. The “synth room” holds an ARP 2600, Moog Polymoog, Sequential Circuits Prophet 5 and Prophet T8, Rhodes Chroma, Oberheim Matrix 12 and Oberheim OB-Xa, Roland Juno-60, Elka Rhapsody 490 String Machine, and Elka Synthex." 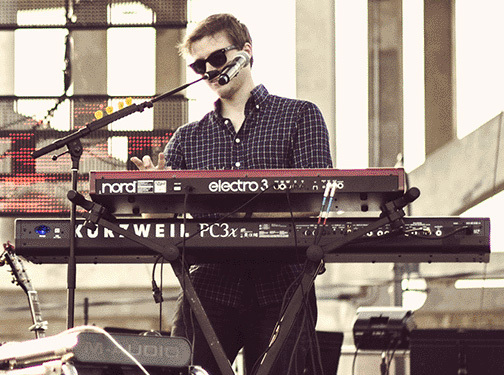 In this picture, Gus can be seen playing a Nord Electro 3. Nord Electro keyboard seen onstage during Thrice's live set @ The Regency Ballroom in San Francisco, CA (June 12, 2012). 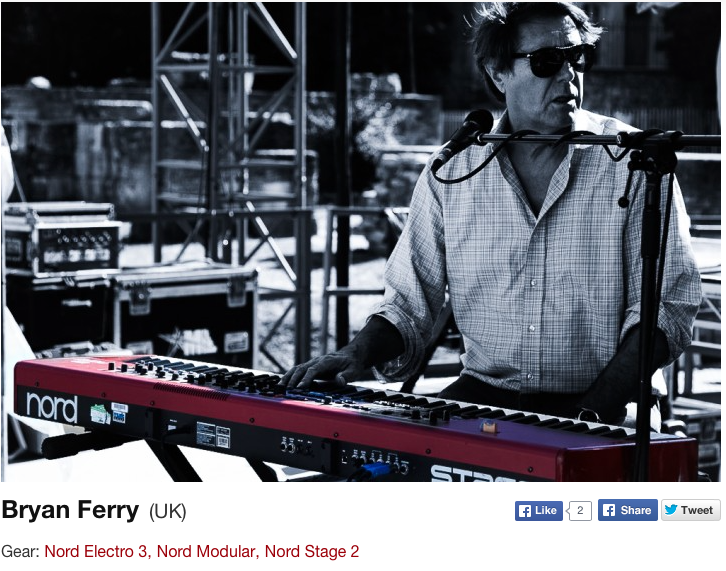 It is stated on Nord's [website](http://www.nordkeyboards.com/artist/bryan-ferry) that Ferry uses an Electro 3 keyboard. In this image, the Nameless Ghoul Air can be seen here in a performance behind a Clavia Nord 3 keyboard. Taken from "60x60", a set of concerts given by García in the late 2011. On his Tiny Desk performance Archy has his nord electro set up to play Logos. It's been used a lot throughout his tours of The OOZ album. "the nord adds some of best qualities that really fill in our sound"
He is seen using this keyboard for their performance on The Loop. In the video you can see Jeremy Joly playing a Nord Electro 3 used as a Hammond B3 Organ. In this video Sanae Yamada plays with a **Nord Electro 3**. I think it's the main keyboard used by the artist in question, as found in many other videos of her performances. **A Fullton OCD** is also clearly visible between the effects pedals. 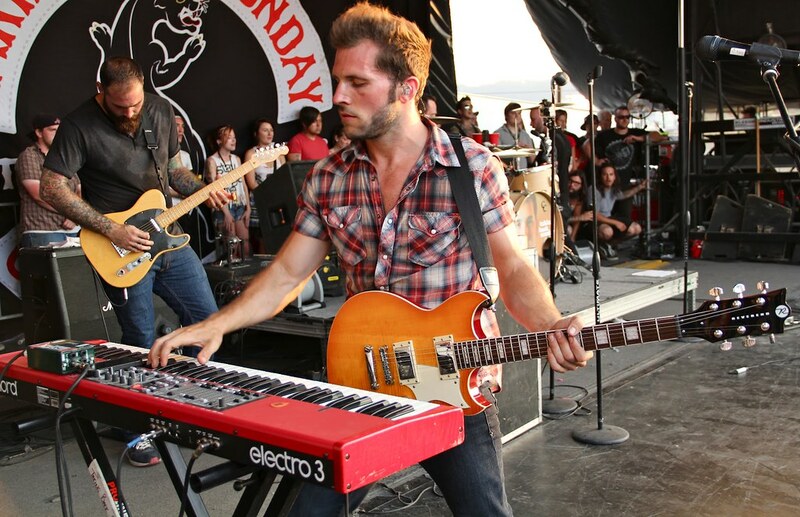 He is pictured here playing a Nord Electro 3 with Taking Back Sunday. In this video, both Sacha and Marlon can be seen playing Nord Electro 3s. She can be seen playing one throughout this video. Can be seen at 1:54, as well as at other points in the video. in this video at around 3:54, you can see see him walk over to the nord electro 3 and play it! Visible in this photo of Wright on his Kurzweil artist page. The Electro 3 label can be seen Rose's synth at 3:04 in this live performance of her song "More of the Same." Counting the keys reveals that it is a 61-key model. The keyboard can be seen 0:03 into this video. Studio recording for the single Cryptic in 2018. She plays Ada's Nord Electro live performing the song "Cryptic". Clavia Digital Musical Instruments (Clavia DMI AB) is a Swedish manufacturer of virtual analog synthesizers, virtual electromechanical pianos and stage pianos, founded in Stockholm Sweden in 1983 by Hans Nordelius and Mikael Carlsson.